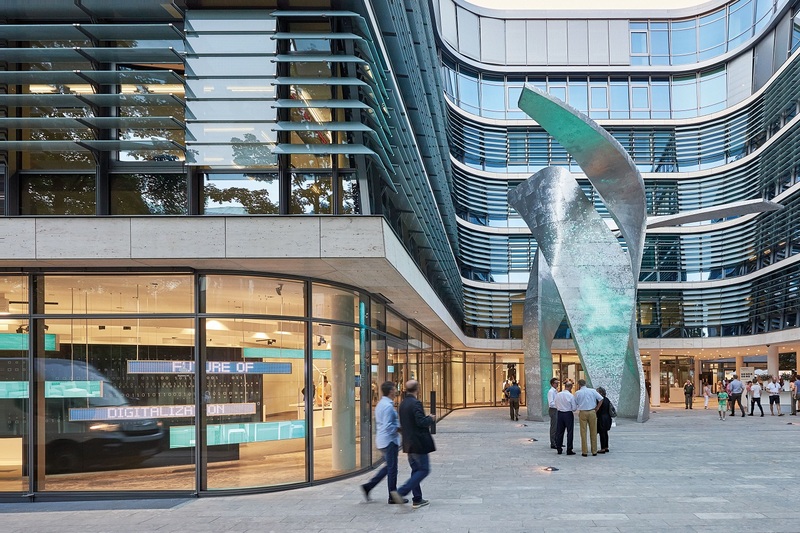 Munich, Germany - May 11, 2017 - Siemens is rigorously pursuing further targeted efficiency improvements at individual businesses. Plans call, among other things, for reviewing the geographical setup of Siemens' own IT activities and driving the digitalization of its own processes. A centralization of the storage facilities at the Digital Factory Division is also planned. These steps will be accompanied by a bundling of training expertise in order to continue meeting the requirements of the future working world as well as by measures to secure the competitive position of the Mobility Division. Driving innovation for the U.S. and the world. Roland Busch, Siemens AG Chief Technology Officer and Managing Board Member, takes the stage at the company's Innovation Day USA event on Monday, March 27, 2017 in Princeton, N.J., USA. Siemens is rigorously pursuing further targeted efficiency improvements at individual businesses. Plans call, among other things, for reviewing the geographical setup of Siemens' own IT activities and driving the digitalization of its own processes. A centralization of the storage facilities at the Digital Factory Division is also planned. These steps will be accompanied by a bundling of training expertise in order to continue meeting the requirements of the future working world as well as by measures to secure the competitive position of the Mobility Division. 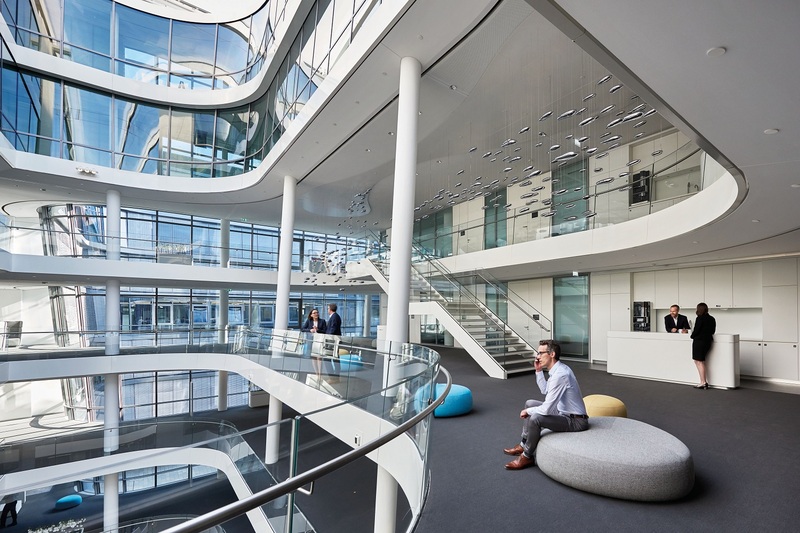 The plans have been presented to the employee representatives and are to be implemented across a range of different locations and businesses in Germany. Overall, nearly 1,700 jobs are to be cut in Germany over the course of several years. 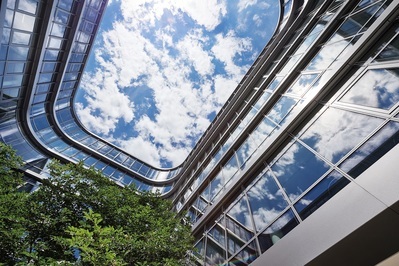 Designed by the Danish firm Henning Larsen Architects, the new building consumes 90 percent less electricity and 75 percent less water than its predecessor. The goal is to implement the reorganization in a socially responsible manner and avoid layoffs due to operational requirements as much as possible. In order to implement the planned measures, talks with the relevant employee representatives are to begin at once. About 1,000 more jobs are to be transferred to external service providers in Germany or to other units within the company. Around 9,000 new employees are to be hired in Germany alone within the same period. Efforts will be made to retrain as many of the affected employees as possible for open positions. Ivanka Trump, First Daughter and Assistant to the U.S. President Donald Trump (R), visited the Siemens training center in Berlin with Joe Kaeser, President and CEO of Siemens AG. April 25, 2017. The above-mentioned measures will support further structural improvements and drive Siemens' modernization on the way to becoming a digital industrial company. Siemens continues to expect the number of annual new hires to remain at a high level in the years ahead, with at least 25,000 new jobs being created worldwide, of which about 3,000 will be in Germany. In the first half of fiscal 2017 alone, the company hired about 17,500 people around the globe, of whom more than 2,500 were in Germany. During the same period in fiscal 2016, new hires totaled roughly 16,400 worldwide, of whom nearly 2,400 were in Germany. 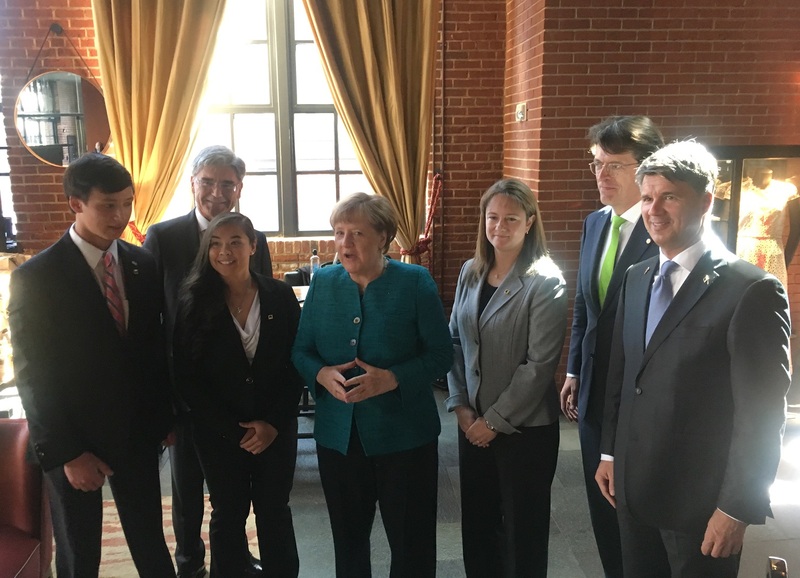 Siemens CEO Joe Kaeser has accompanied German Chancellor Merkel on her visit to US President Donald Trump as part of Merkel's business delegation. On their visit to the White House, Kaeser was joined by Siemens USA CEO Judy Marks and one of Siemens' apprentices Chad Robinson. In the picture from left to right: Chad Robinson, Siemens apprentice, Joe Kaeser, President and Chief Executive Officer of Siemens AG, Angela Merkel, German Chancellor, Klaus Rosenfeld, Chief Executive Officer, Schaeffler AG and Harald Krüger, Chairman of the Board of Management of BMW AG. March 17, 2017. Over the next few years, Siemens' enterprise IT unit will play a key role in the company's transformation into a modern, digital enterprise. This transformation will require the company to focus on its own activities in order, for example, to create capacities for new tasks such as cyber security and the expansion of platforms for data analysis. The measures are expected to impact a total of about 1,350 jobs in Germany over the next three years. Around 700 of these jobs will be transferred to external suppliers. 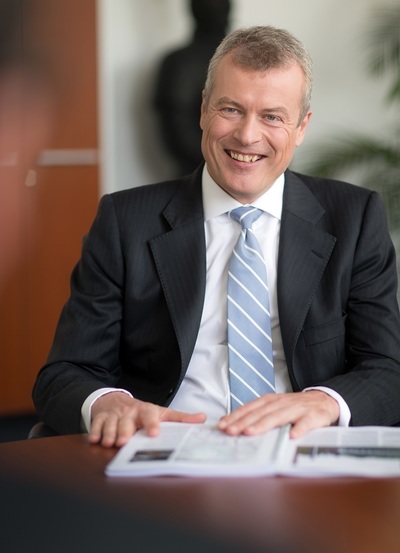 Michael Sen, Member of the Managing Board of Siemens AG, Healthineers, Siemens Gamesa Renewable Energy, Global Services (GS). "The realignment of our enterprise IT will undoubtedly play a key role for Siemens in its transformation into a digital industrial company. We'll drive this topic resolutely and thus increase our flexibility, too," said Michael Sen, the Siemens Managing Board member responsible for Siemens' enterprise IT unit. A variety of measures are planned at the Digital Factory Division, including a project to consolidate existing storage facilities in the Nuremberg, Fürth, Erlangen and Amberg area of Germany in order to create a completely new logistics center in the Amberg region. This center is to be operated by an external service provider and begin operation within the next few years. 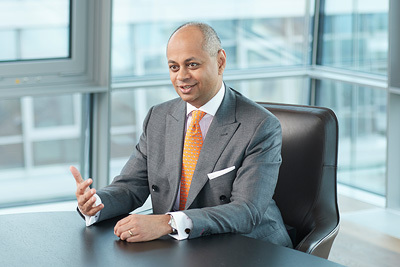 Dr. Jan Michael Mrosik, CEO of Digital Factory Division, Siemens AG. 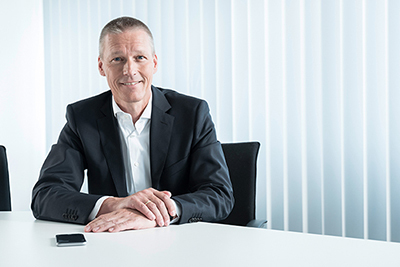 "Consolidating our storage facilities for the Digital Factory Division is an important improvement for our customers," said Division CEO Jan Mrosik. "We'll be able to react faster and accommodate customer-specific wishes in a more targeted manner. And we'll eliminate the expensive transfer of goods between existing locations." In addition, capacity adjustments are planned for the Fürth location. Business at the location has been declining for years due, among other things, to customers' longstanding reluctance to invest. All in all, about 600 jobs are expected to be cut at Digital Factory in Germany as a result of these measures. Around 250 more jobs will be transferred. The Mobility Division recently reported solid profit figures. However, Business Units such as Mainline Transport (MLT) and Urban Transport (UT) are struggling with increasing competition and rising cost pressure. The aggressive globalization strategy being pursued by the largest Chinese competitor and overcapacities on the market have resulted in substantial price declines. In addition, more and more infrastructure projects worldwide are being postponed due to restrained public financing in many countries. In this market environment, the competitiveness of future projects can be achieved only through economies of scale and rigorous cost management. For this reason, Siemens is planning extensive measures to optimize its cost positions. In this connection, adjustments affecting around 300 jobs at the Division's location in Krefeld, Germany, are already required now. Jochen Eickholt, CEO of Mobility Division, Siemens AG. "Of course, the greatly increased competitive intensity in the worldwide rail business has consequences for us, too," said Jochen Eickholt, CEO of the Mobility Division. "To survive in this environment, we have to take action now." Today, Siemens Professional Education (SPE) is a leader in the areas of quality and innovation. For example, SPE has made a practice for many years now of continuously revising and adjusting its curricula to meet the requirements of digitalization. To ensure the consistently high quality of its training activities while reflecting its regional orientation, Siemens intends to place a stronger emphasis on pooling this training expertise. As a result, plans call for successively adjusting the number of training locations between now and 2021. In some cases, however, this adjustment will involve a transfer to other training providers. 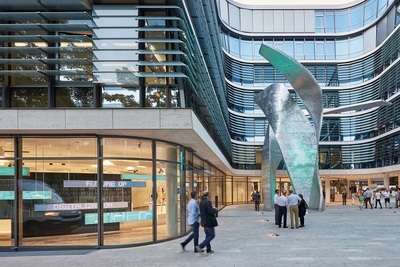 A concept is currently being developed with Siemens Healthineers, for example, to set up independent training programs at the healthcare company. 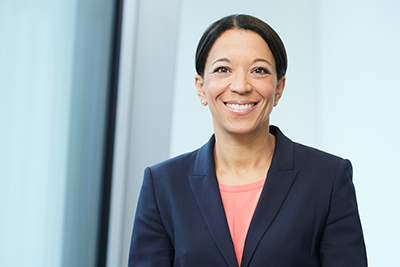 Janina Kugel, Member of the Managing Board of Siemens AG, Human Resources. 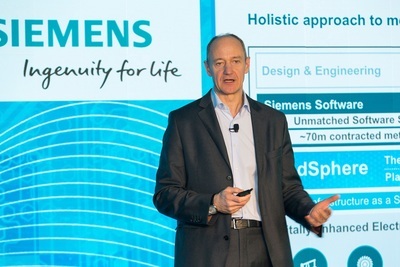 "Employee training is vital for Siemens. Here, quality is more important than quantity. That's why we have to better align our training programs with our concrete needs," said Siemens' Chief Human Resources Officer, Janina Kugel. Inaugurated 2016, the Siemens corporate headquarters in Munich offers roughly 1,200 employees a unique working environment which sets standards for environmental friendliness, energy efficiency and the sustainable use of resources. In fiscal 2016, which ended on September 30, 2016, Siemens generated revenue of €79.6 billion and net income of €5.6 billion.